Vaikam TV Jayachandran is among the most popular new generation singers in Carnatic Music. Born into a musical family in Vaikam, his first guru was Shri Vaikam G Vasudevan, his father and a renowned Carnatic musician in Kerala. He had his formal education in Music from RLV College of Music, Tripunithura in form of Gana Praveena and Gana Bhooshanam. 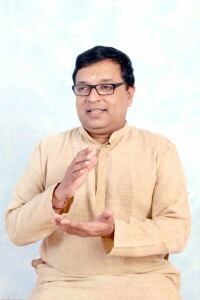 In his pursuit of excellence, he trained under eminent musicians Mavelikara Prabhakara Varma, Sri Tanjore M Thiagarajan and Mavelikara P Subramaniyam.